It’s been over 35 years since the BMW Art Car program started. Back then, some of the world’s best pop artists like Andy Warhol and Roy Lichtenstein have painted BMW cars in their signature styles. However, the BMW Art Car Collection has its roots in motor sport. The first three BMW Art Cars were indeed raced. 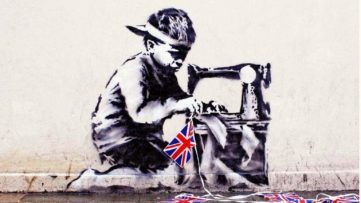 But, things changed with the invention of art decoration and customization. At that point, cars became pure artifacts, or art on wheels. To be clear, cars never really were just the tools of modern transportation, but rather a medium to express social and political status. Today, however, the car has become an aesthetics signifier too, with its value raised to the next level. Therefore, famous car companies increasingly invite artists to design their new series. 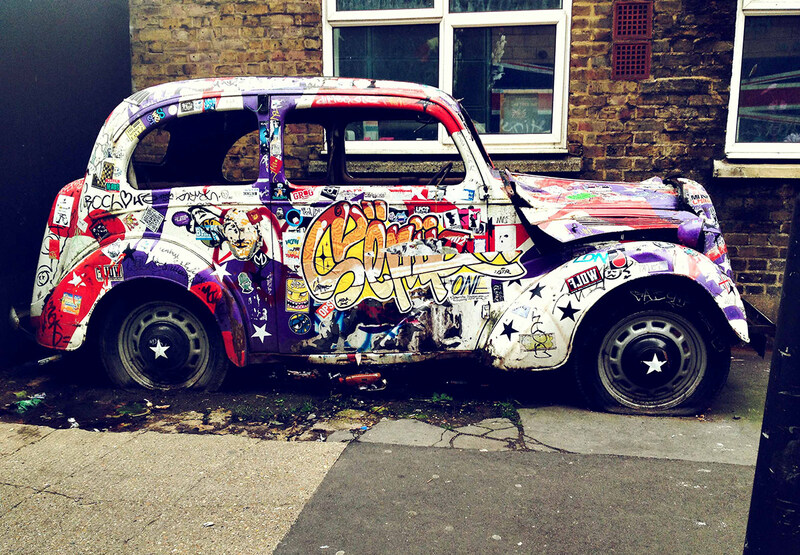 We present you some of the unique items in our “10 Art Cars” article. You’ll see truly amazing examples. Already into its fourth year, the Volvo Art Session is a unique live art project taking place in Zurich’s main railway station. 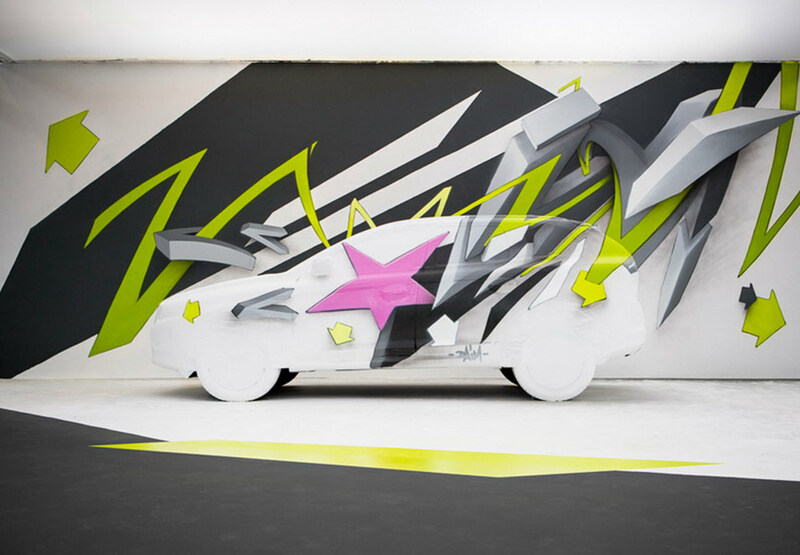 The event finds selected Swiss and international artists applying their creativity to a Volvo car. Passersby, urban art fans and car devotees are invited to witness the emergence of world-class art before their very eyes. ETAM Cru participated in the Volvo Art sessions 2013 and this is the result. They transformed the new Volvo XC60 through illustration and painting demonstrating their great artistic mastery. 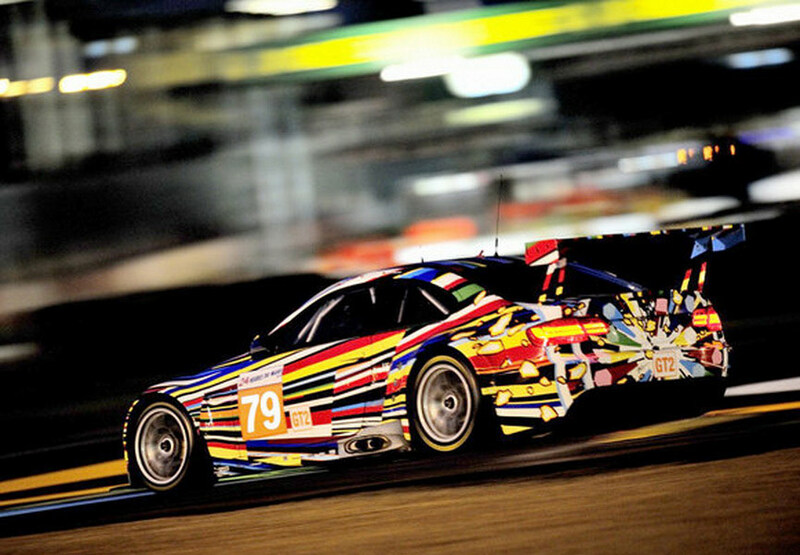 The BMW Art Car Project was introduced by the French racecar driver and auctioneer Hervé Poulain, who wanted to invite an artist to create a canvas on an automobile. In 1975, Poulain commissioned American artist and friend Alexander Calder to paint the first BMW Art Car. Since Calder’s work of art, many other renowned artists throughout the world have created BMW Art Cars, including Roy Lichtenstein, Robert Rauschenberg, Frank Stella and Andy Warhol, to name a few. 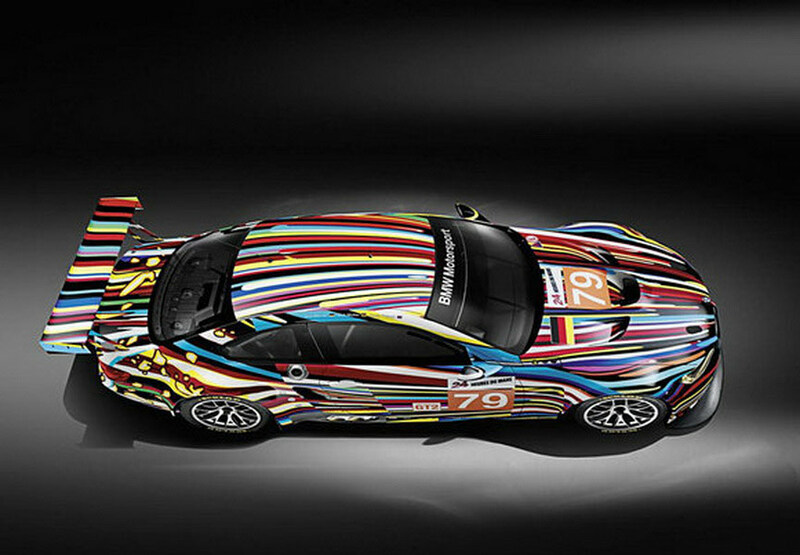 Artists for the BMW Art Car Project are chosen by a panel of international judges. To date, there are 18 BMW Art Cars in total. 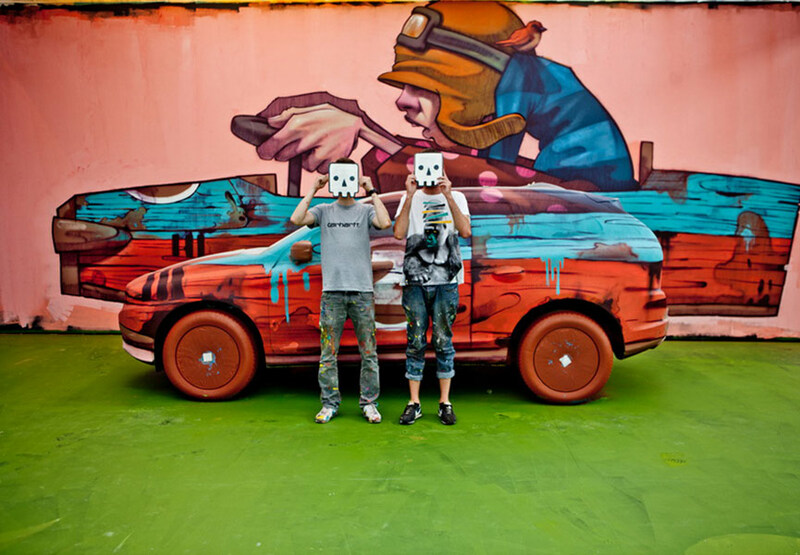 In addition to the work commissioned by BMW, a couple of artists created unofficial, apocryphal BMW Art Cars that are not considered part of the canon and are not officially recognized by BMW. 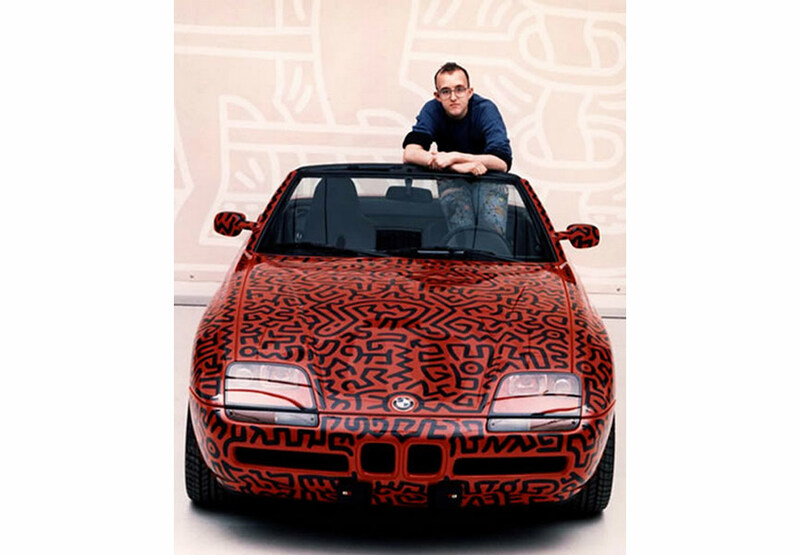 One of these artists is Keith Haring who painted a red BMW Z1 at Hans Mayer Gallery in Düsseldorf in 1987, which is now housed in a private collection. The car shows Haring’s strong, graphic line and his characteristic repertoire of emblematic signs. 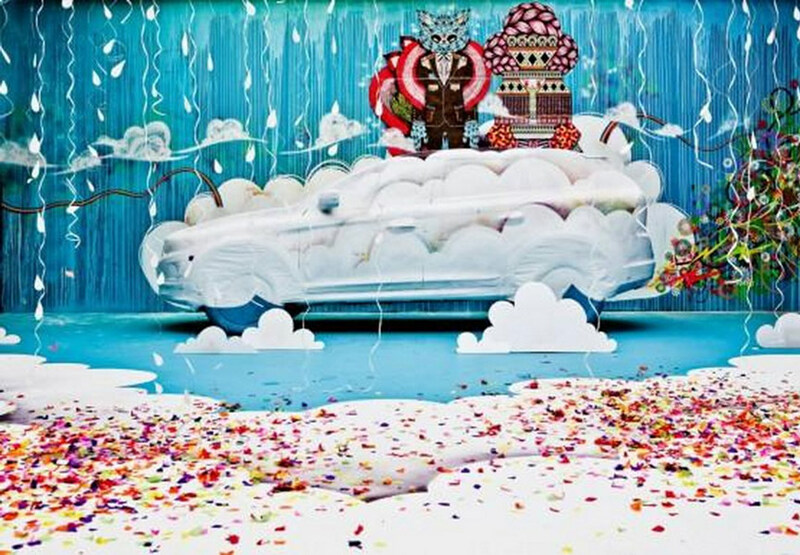 The most recent artist who joined official BMW Art Car program is Jeff Koons. In 2010, Koons aesthetically reworked the BMW M3 GT2. 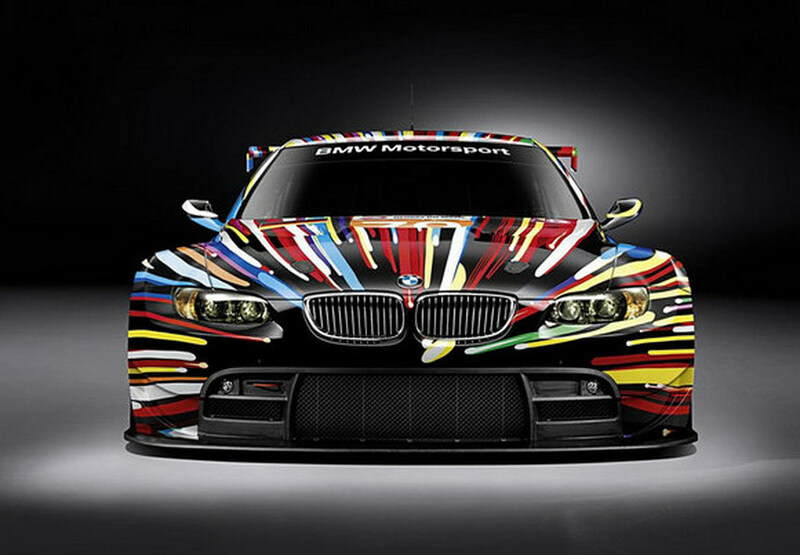 The 18th model in the BMW Art Car series was unveiled to the world at the Centre Pompidou in Paris in June 2010. The car has the racing number 79 – a tribute to the BMW M1 body work-over presented by Andy Warhol in 1979. With his striking colors, Koons succeeded in conveying a sense of strength, speed and power. DAIM’s trademark is a technically brilliant and formally complex 3D style. 3D style means that the lettering is created using the light and shade effects of colors rather than outlines, which propels them out of their two-dimensionality and into a world we experience in 3D. On the final day of the Volvo Art Session 2013, the artist’s attempt was to pick up on the car’s character, at the same time trying to oppose it. DAIM firstly placed a pink star in the middle of the white Volvo, which symbolizes the owner. He gradually supplemented the symbol, adding eye-catching style elements in black, grey and green, until the car merged with the background to create a fully-integrated 3D work of art that burst out of the frame. 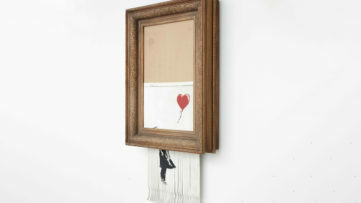 During his month-long “artist residency” on the streets of New York City last year, Banksy created several pieces, but his fifth work was something totally new for himself, too. 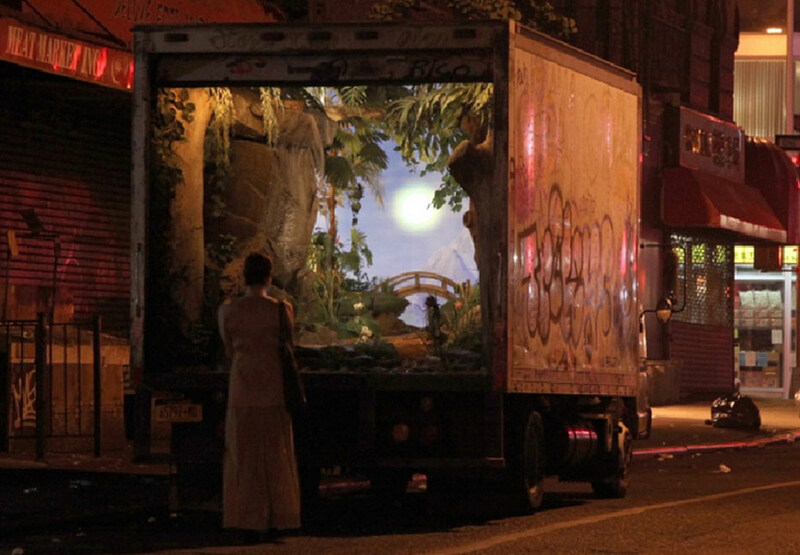 Banksy converted a New York delivery truck into a mobile garden. The interior of the truck contained truly impressive scenery with a waterfall, rainbow and butterflies. The Banksy’s truck was driven around New York City for all to enjoy a moment of Zen. The same year, Koralie and SupaKitch took the new XC60 up into the clouds. Koralie and SupaKitch have a shared passion for art and enjoy to team up for design projects and large-scale wall paintings, which are full of personal stories and designed in their typical eclectic and colorful aesthetic. Koralie’s artistic vocabulary is inspired by Geisha characters and Japanese pop culture, which she combines with an abstract visual vocabulary full of subtle details – often reflecting her own personal life. 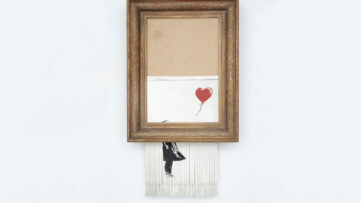 The SupaKitch approach to graffiti is eclectic, as he mixes various techniques such as spray, acrylic paint, collage, silkscreen and even tattoo. He has created a unique pop-romantic universe with Asian influences. The couple has adorned the new XC60 with a dress made of clouds. A car, which normally weighs nearly a tone then floated to a pale blue background, like a huge cloud above the stage floor. 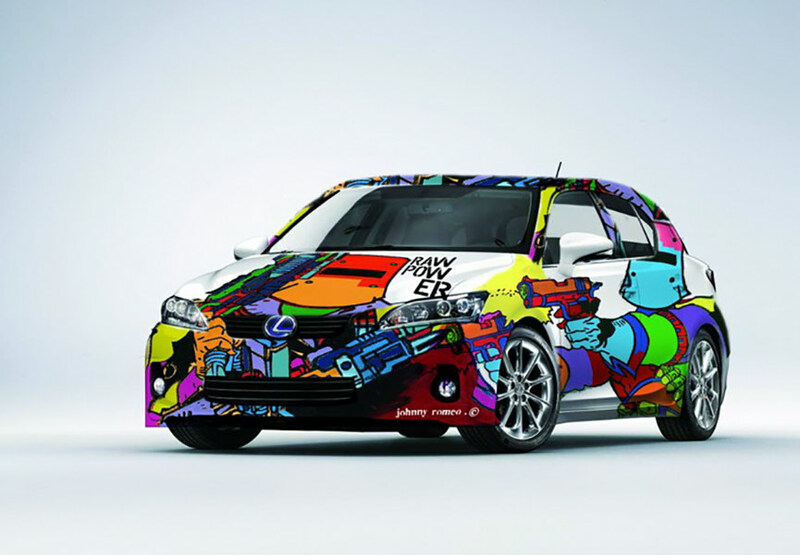 Australian pop painter Johnny Romeo has been commissioned in 2012 for his art work to be featured on the CT200 Hybrid Lexus car. This is a part of Lexus Art Car series which works by leading contemporary artists to be featured on new Lexus vehicles. A customized Romeo Hybrid shows artist’s distinctive style that appropriates the comic book aesthetics and pop culture iconography. 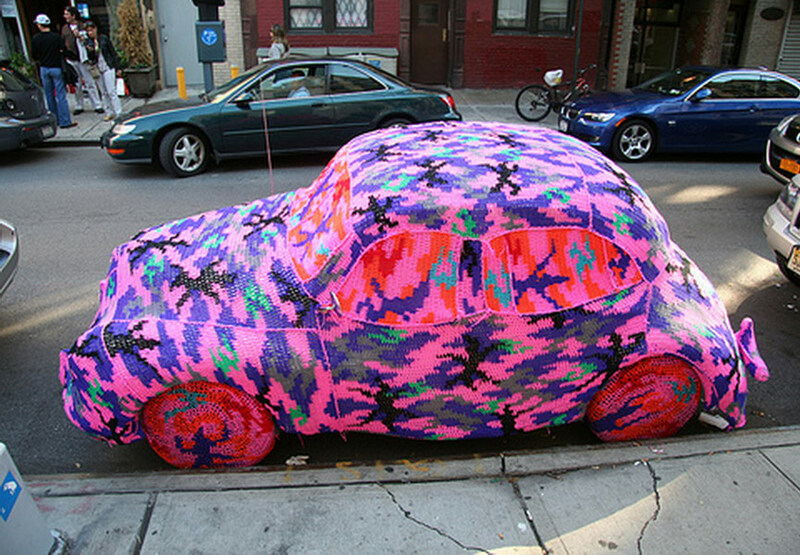 With her obsessive strategy of multicolored yarn, predominantly purple, fuschia and orange, sewn up in camouflage-like patterns, crochet artist Olek managed to fully clothe a bicycle and an automobile in choreographed conceptual pieces, executed on the streets of New York. However, as far as we know, the artist did not stop there. 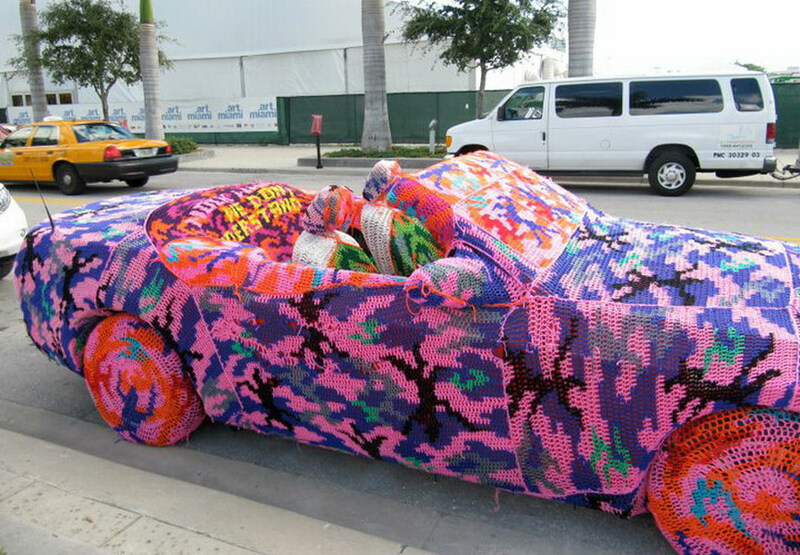 She also fully customized a convertible in Miami. 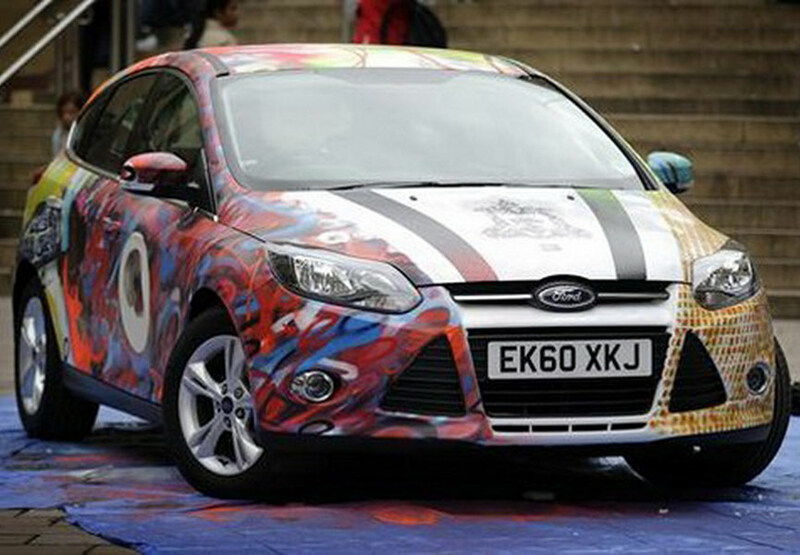 In 2011, six street artists used a public studio in the Scottish city of Glasgow to create a one of a kind Ford Focus art car. The artists, Lyken, FiST, Syrkus, Rue 5, Death Rattles and Al White, from the city’s Independent Recoat Gallery, turned a brand-new Ford Focus into the mobile artwork in just a few hours. The car was featured in the Ford Centenary Tour, which is an exhibition charting the company’s unique history in the UK. Like many artists of his generation, Moore’s background was in action board sports and the action art of graffiti, each with their core value of speed, do-it-yourself ethic, enthusiasm for new terrain, and sheer fun of collaboration. Over the past decade, he’s applied those principles to his bold, graphic aesthetic in media, both analog and digital, for projects both personal and commercial. It is Moore who is held responsible for designing the most special ever Mini Cooper. The car was made for a customer of the British brand. Moore used some retro details to recall the sixties but he masterfully reinterpreted them in a modern way. 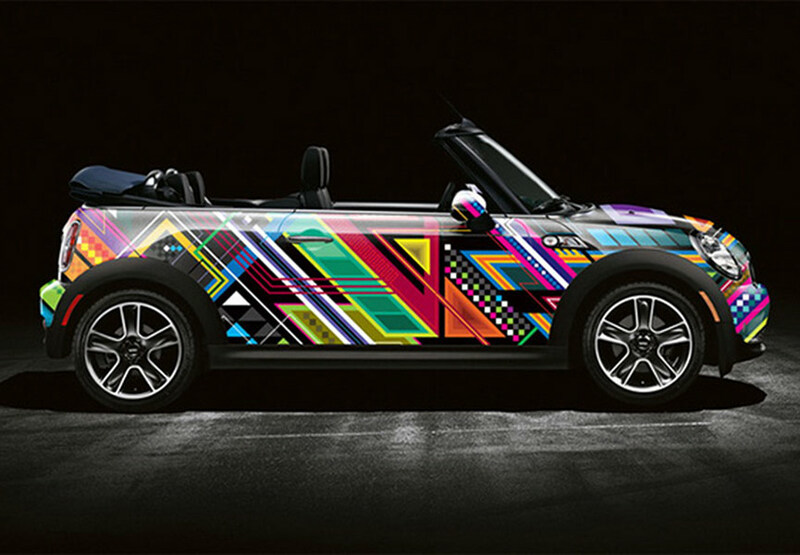 This Mini will certainly not stay unnoticed on a road.